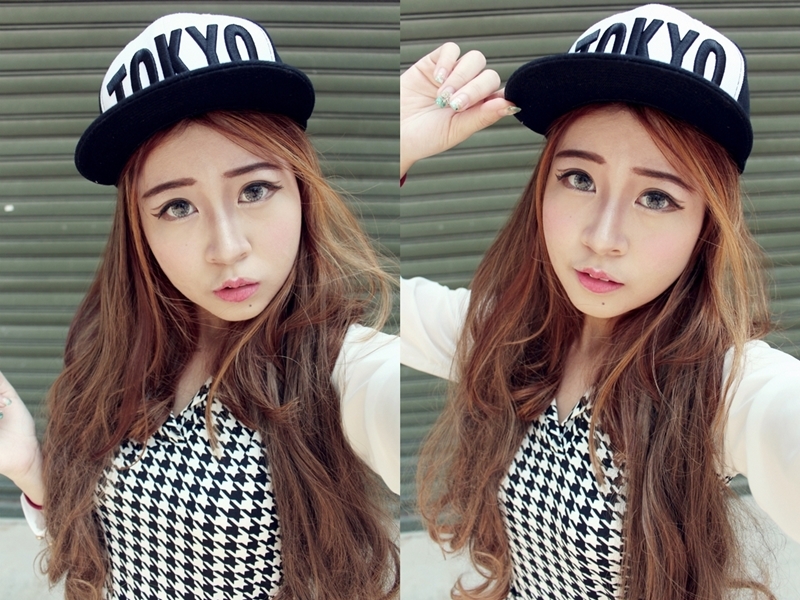 Wearing super cute Houndstooth top from TheLadyWears.com! Everything is SG$18 except for the Premium items that starts from $22! The reason why I chose this outfit is because I love wearing a lot of Houndstooth and Tartan designs lately cuz they always make you look very dressed-up! Wore my currently one and only snapback that matches this monotone outfit cuz I was hoping to go for the Stylenanda feel. Haha pass anot?? Hair done by J7image that I will talk about in a blogpost soon! Done my hair last Wednesday so this is my hair on the 4th day. It's gotten a little messier, but the curls are still staying strong! Wore my fav Litas that I really love cuz it matches almost anything!! They are quite comfy too, but ofcos, they are not for extreme walking-days. Quote 'LindsayVoitton' for $2 off your total bill at TheLadyWears.com . Valids until 31st March 2014. Anyway, I went to Johor Baru for a mini-mini vacation mainly for food! Went to Sizzling Stonegrill for dinner when we first reached there and it was awesome! Hahah why didn't I take a picture beside it!? Btw the eyes are SCARY AF. It's red and glowing. OMG okay I forgot what I ordered, but this is mine! I think it's beef, fish and lamb, laying on the stonegrill waiting to be cooked! Chose mash potato and fries for my sides. Flipped them over! Look at all the juicy goodness. Doesn't look as awesome as the rest, but it tastes really good! Shared this among the rest cuz we felt just the meat itself won't make us full. But we were so so wrong. What's a blog post without a selfie right? Houndstooth outfit DONE! Next post- Tartan prints! Yes! Have stylenanda feel. more of these type of pics pls! Yes, I am the unlucky one that break out SO MUCH once I hit puberty! :( Ever since then, I have so many skin problems until my mother started bringing me for facials. 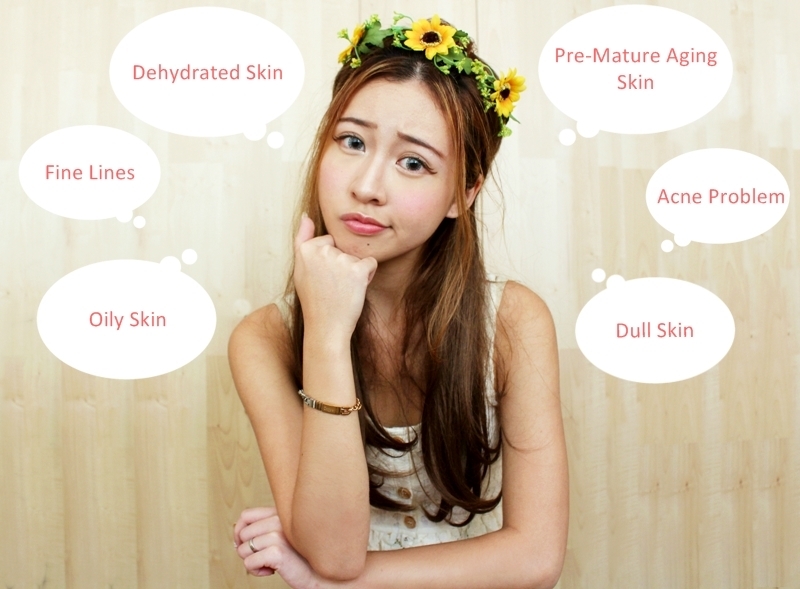 My skin is more in control right now but I still experience break outs every now and then, if I sleep really late for just 1 day. No, I am not flawless like some people say I am T_T Just cuz my unhealthy skin always can't be captured by the camera well, doesn't mean it's smooth. Just look at my skin closed up! Acne Problem caused by oiliness underneath the first layer of skin, but super dry at the top layer. Even though I always have a balanced diet (Eating loads of fruits and vegetables everyday), I think the main reason why I still get break outs is because I am a really late sleeper. (Yes, I am nocturnal, like some of my friends call me :x) I also get stressed out easily when I have datelines to meet, or even just keeping up with my outfit posts. Wearing my black tassel shorts that I got in bulk the other time! I was looking for the white one for a really long time but I felt that I should style this black one first for this jungle inspired outfit. Booked an appointment with J7 Image Salon with some of the girls before our shoot for the Mousetrap Website last Friday! I was sooo stressed out about my hair because it was a HUGE disaster. After I took out my hair extensions on Wednesday (which was in such a huge mess btw), My hair was so dry and frizzy with about 3cm worth of roots that grew out cuz I can't touch them up with all the extensions on. Hi guys, i've Just touch down KL!! Woke up at 6am and i finally got to my hotel at 2pm today. Didn't have time to go to my facial appointments for about 2 months now and my face is feeling so rough and dry. So I made it a point to bring some masks with me for this trip to combat my dehydrated and dull skin. And today, I brought my ePure Membranous Jelly Masque!! Was super exited to use it because JELLY! A closer look of my face. This is what a continuous week with lack of sleep looks like. Yep, it's one of those days where I felt that my skin is rough, dry and OILY at the same time. Too much gunk in my skin that I just felt like to squeezing them all out. Even though squeezing gunk (black heads, white heads, oil sebum) out is so satisfying, that's not the way to do it because it will only expand your pores. And nobody want's huge pores!! So what to do?